Profits from sales of our merchandise go back into our welfare work so when you shop at Cat Protection, you not only get good quality cat merchandise at competitive prices, you’re helping cats too. Our shopfront stocks a wide range of Hill’s Science Diet wet and dry food; Bayer flea and worm treatments (Advocate, Advantage, Profender); food bowls; litter trays and kitty litter (Oz-Pet, crystal and Breeder’s Choice); a huge variety of toys and bedding; brushes; shampoos; catnip and more … Plus we sell cards, books, bags … everything for cats and it’s all for the cats. We also sell a limited range of merchandise by post – please call our office on 02 9519 7201 for more information. We’re open for sales Monday to Wednesday from 9am to 4pm; Thursday from 9am to 6.30pm; Friday from 9am to 6pm; Saturdays from 10am to 3.30pm and Sundays from 10am to 2.30pm. You can phone us on 02 9519 7201 or 02 9557 4818 to check trading hours. We’re located at 103 Enmore Road Newtown – just opposite the Enmore Theatre. 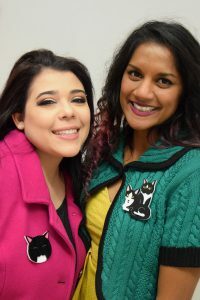 Some of the most memorable cats rehomed by the Cat Protection Society in Newtown have been immortalised in a series of brooches being sold in a fundraising drive. Bella, Jaffa, Johnny and Zac are among the felines featuring on nine brooches created for the fundraiser, called “Nine Lives” and #NineLivesNewtown on social media. And to prove that cats rule the internet, we’ve launched a one-minute video featuring Paul Capsis as the voice of Jitu the cat. Charles Penfold is the filmmaker. Jack the cat makes a guest appearance! Each brooch retails at $39 over the counter at our Adoption Centre or visit our online shop here. 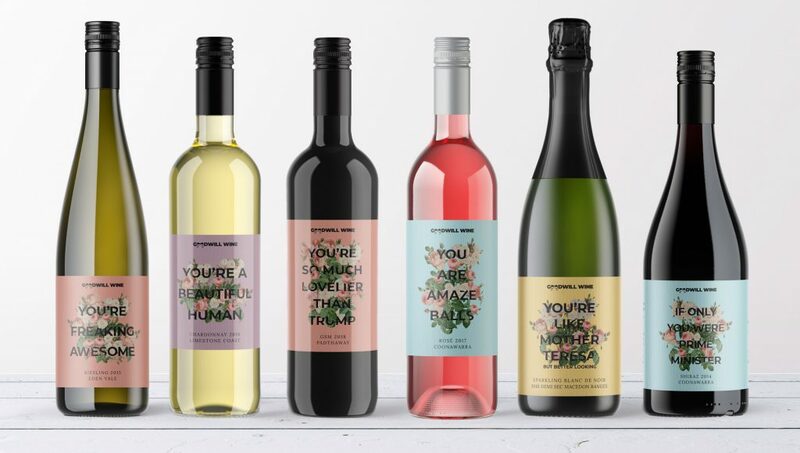 Goodwill Wine sources quality boutique Australian wines and donates half of the profits to charities and non-profit organisations. By selecting us when you order, we get your donation and you get awesome wine. In fact, the wines are so good they come with a money-back guarantee. The Age describes them as “seriously good” and Gourmet Traveller Wine says they’re “quality boutique wine”. Which means you can get great wine, while supporting a great cause. Cheers to that! 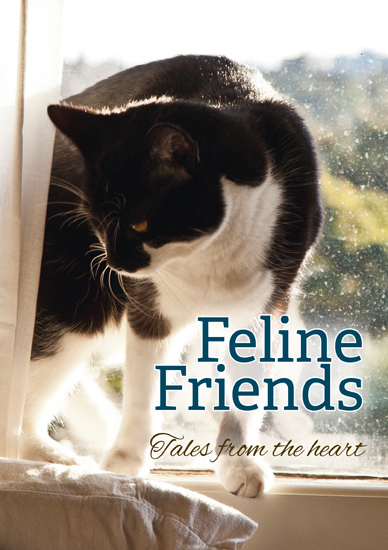 We are very proud to announce the release of our beautiful new book, Feline Friends – tales from the heart. This book celebrates the beauty, elegance and incredible capacity for love of that most selective of pets – the cat! Above all, it shows us why cats matter and why our lives are richer when they share the journey with us. Feline Friends is available online at Exisle Publishing as an e-book or here at Cat Protection. Every five books we sell from our shelter will pay for one cat to be desexed – it’s the gift that keeps on giving! Order your copy from our online shop here.